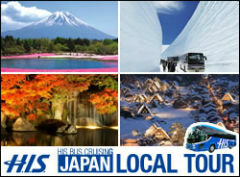 You can purchase Limousine Bus Coupons at our H.I.S Canada Branches before visiting Japan. *This coupon can only be purchased overseas. Coupons are not available in Japan. *There are no limits on the amount of coupons you can purchase. Also there are no expiration dates for the coupons. *The round trip coupon pricing for adults and children are the same. Children under the age of 6 can ride for free if they are not using a seat. 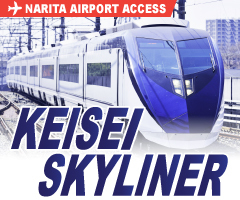 *You will not be able to reserve a specific boarding time for buses departing from Narita Airport or the Haneda Airport, except for certain destinations. *Departing from a Airport:Please exchange your coupon with a ticket at the Limousine Bus Ticket desk inside the arrival lobby. *Heading to the Airport The coupon can be used to board the bus. In order to reserve the bus time please call the Limousine Bus Company, or make a reservation on the Limousine Bus website. *For details regarding reservations please check the Limousine Bus Homepage. *Please visit or call/email the nearest H.I.S branch. (Narita Round Trip coupons and Narita Child coupons are sold only in Vancouver.) There are no reservations required to buy the coupons. *We will not be able to provide a refund/replacement in case of loss or theft of the coupon. *Service and pricing may be modified without notice. *For Return Ticket only, following restrictions will apply. Return ticket does NOT include Shin-Urayasu and Disney Resort Routing. Return must be used within 14 days from the first day of use. **Please consider purchasing two one-way tickets if conditions above apply.